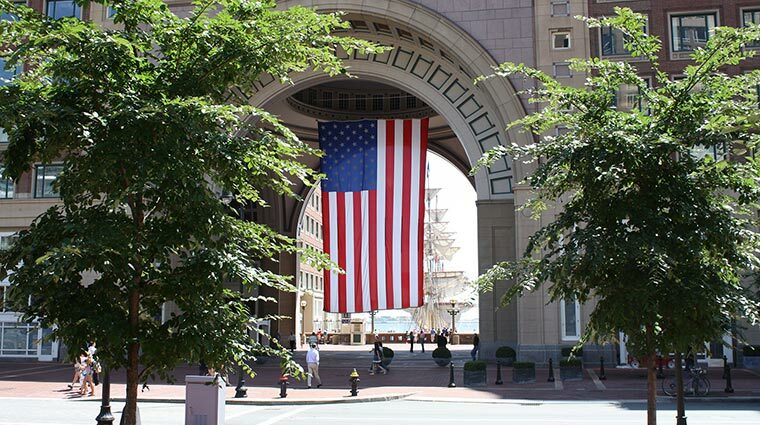 Boston Harbor Hotel is a beautiful blend of Boston’s colonial past and chic present, down to the American flag hanging under an ornate rotunda, waving in boats from their day at sea. 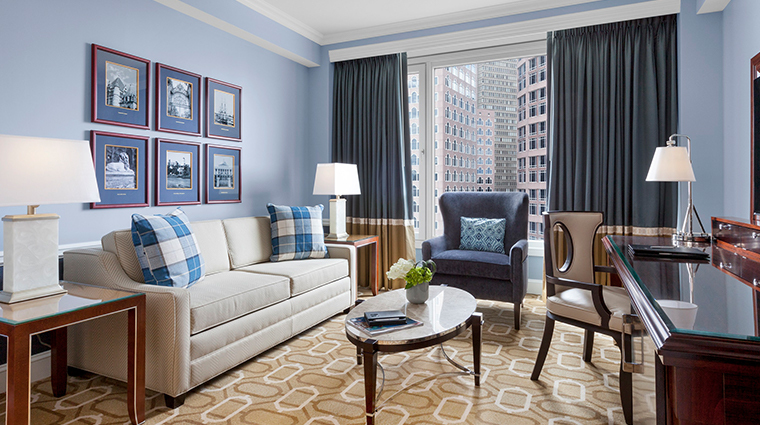 Every traditionally decorated, brocade-bedecked room at the Five-Star Boston Harbor Hotel features a skyline or water view, plasma TV and down-to-the-details provisions (including collar stays and stain-removal wipes). 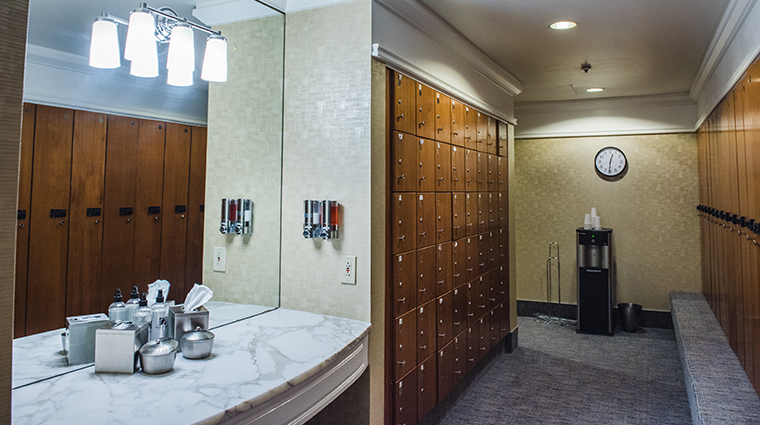 Every service imaginable is available, from same-day dry cleaning to auto detailing, and all are delivered by an affable, professional staff that almost make you feel like a celebrity guest. 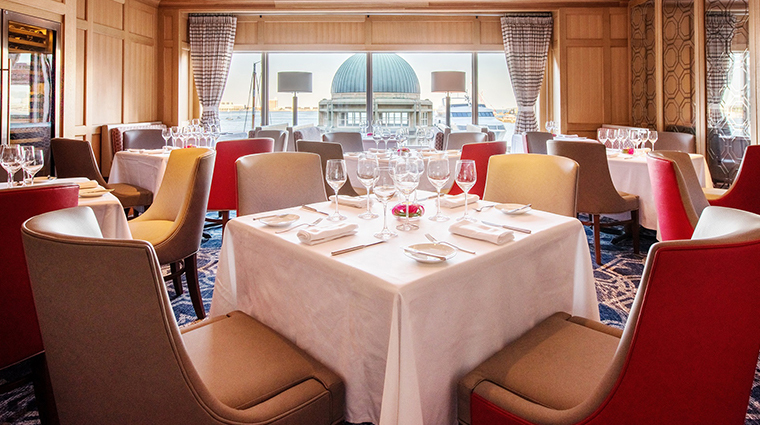 Dining options excel, too, from the impressive wine list at Meritage Restaurant + Wine Bar to the fresh seafood creations at Rowes Wharf Sea Grille. And the water taxi from Logan airport to the hotel’s own marina is the savviest way to get from touchdown to cocktail hour without delay. 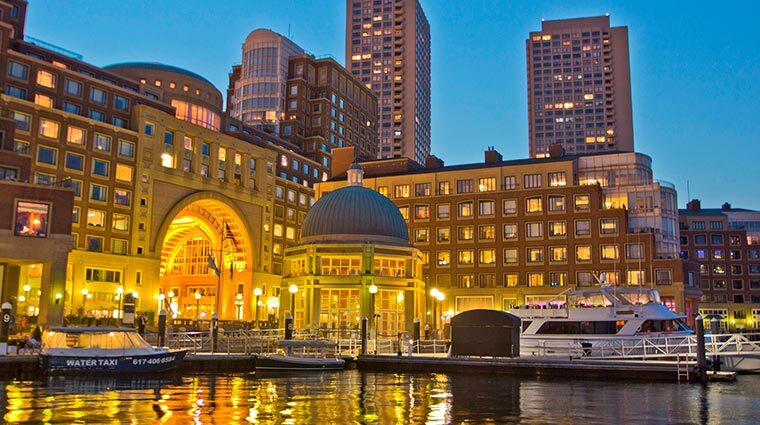 The bars and restaurants at Boston Harbor Hotel are not only great for visitors, they’re popular with locals as well. The place fills up fast with an enthusiastic bar crowd — especially business execs enjoying a well-crafted drink after a long day of work. 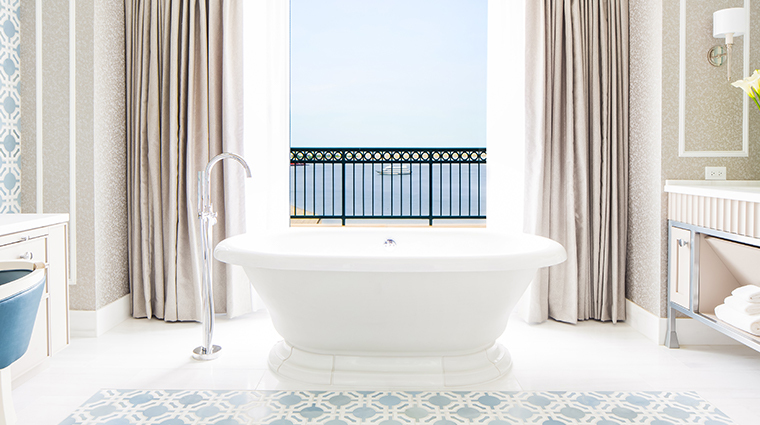 The waves from the ocean bounce along the harbor deck, creating the perfect background to this luxury hotel. 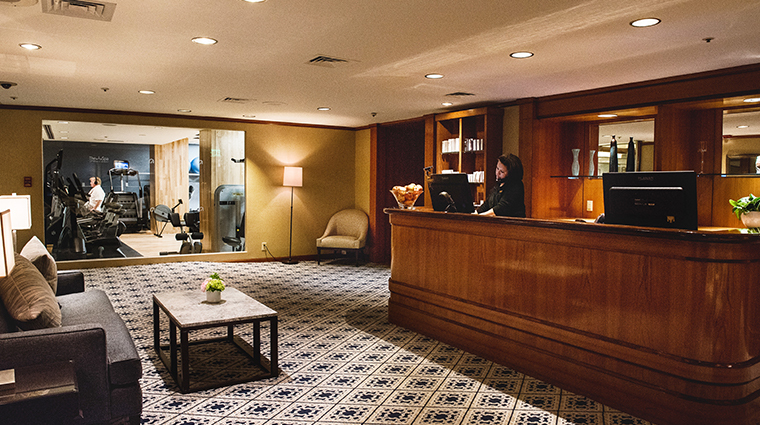 Boston Harbor Hotel’s location on the beautiful Boston waterfront gives you unlimited options for activities near the hotel. Directly outside Boston Harbor Hotel’s back door, you can board any one of the Boston Harbor cruise boats; the cruises range from inner island tours to whale-watching and sunset dinner cruises. 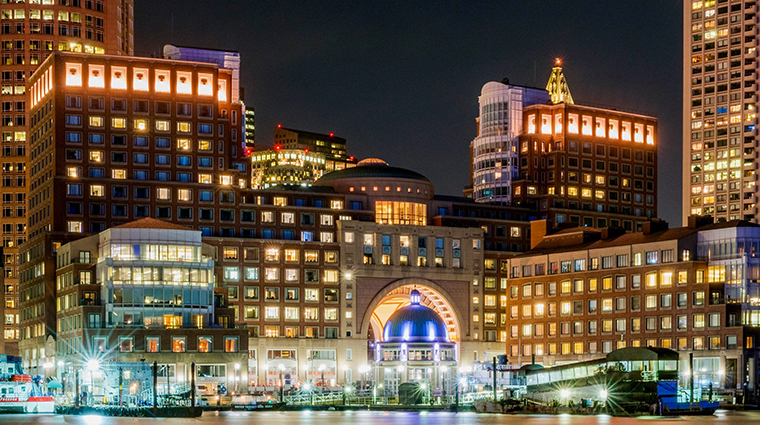 Boston Harbor Hotel is located along the newly created Rose Kennedy Greenway, home to rose gardens, waterfalls and plenty of park space that runs through the city of Boston. 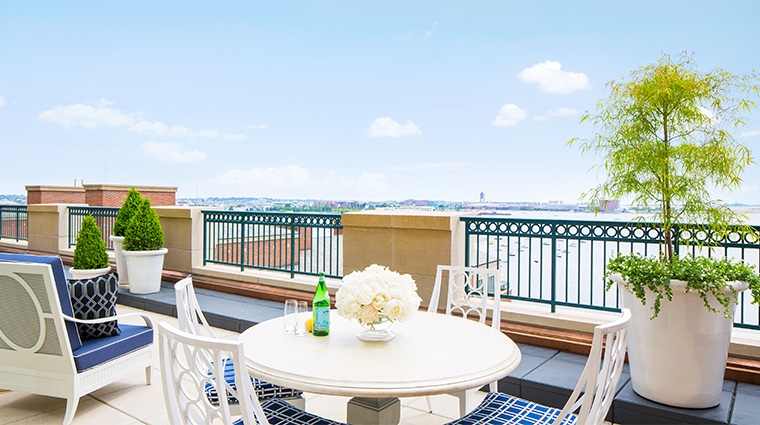 Boston Harbor Hotel’s “Summer in the City” series is one of the true highlights of this hotel. From mid-June to mid-September, the Boston hotel hosts free movies and live music on its outdoor deck. 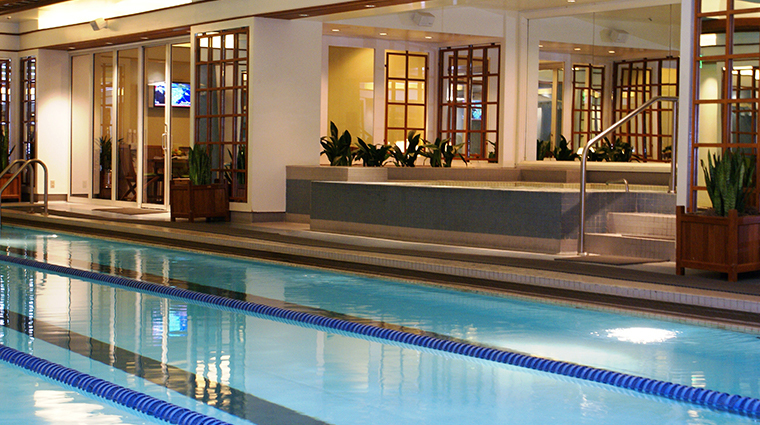 The hotel is a very kid-friendly spot that still manages to maintain a high level of sophistication. The family-friendly hotel oozes fun at every corner, thanks to a kid-loving staff and access to endless summertime activities. 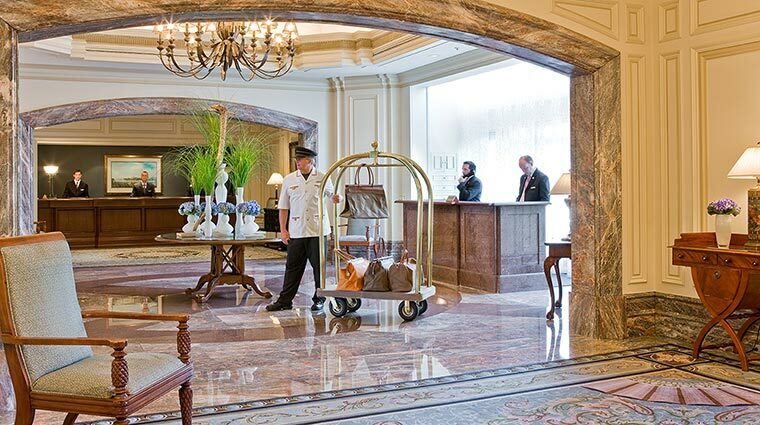 Several amazing museums are within walking distance from the Boston hotel, including the Boston Children’s Museum, Paul Revere’s House, the Old North Church and the Quincy Market Museum. 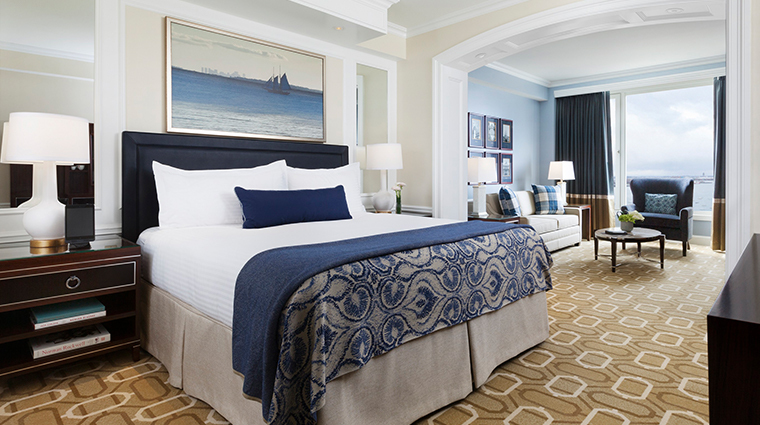 There are 232 rooms in total at Boston Harbor Hotel; 22 one-bedroom suites, 96 deluxe rooms, 108 superior rooms, four large-size individual suites and the recently unveiled John Adams Presidential Suite. 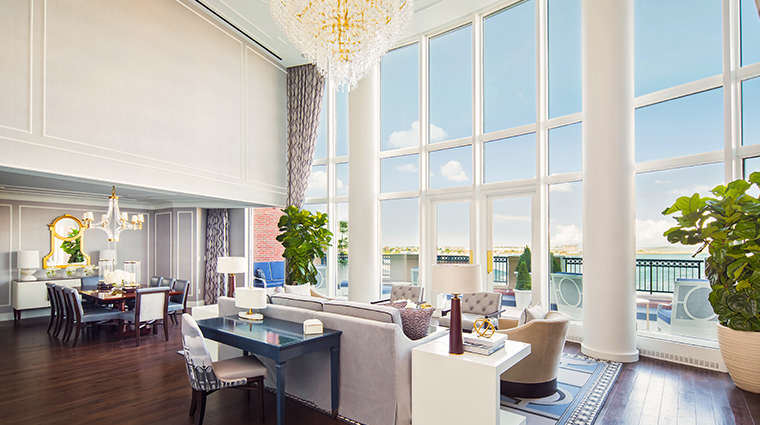 For a truly opulent stay, book into the Five-Star hotel's brand new John Adams Presidential Suite, a 4,800-square-foot stunner with 20-foot floor-to-ceiling windows overlooking the harbor, a 1,000-square-foot private terrace and a spectacular chandelier boasting more than 1,200 crystals. 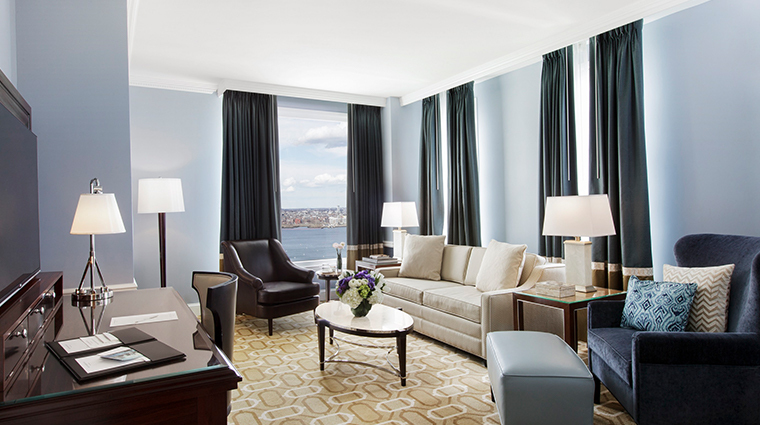 Each room at the Boston Harbor Hotel has a view; guests get to choose between a harbor or city scene for their window. 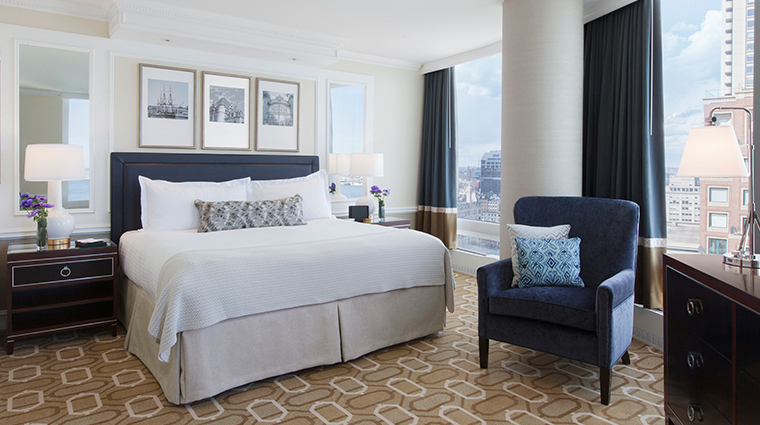 All of the rooms are located between the 8th and 16th floors of the hotel, so if you choose a city vista, be sure to request a high floor so you have optimum views of the Boston skyline. 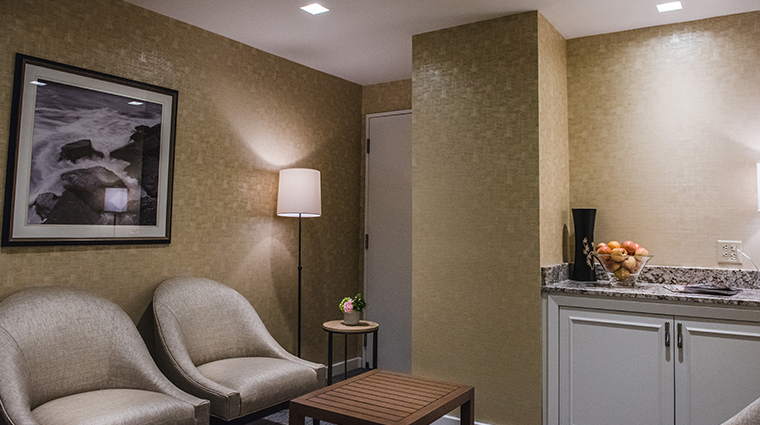 Every guest room and suite in the hotel comes with a work station, flat-screen TV, Bose sound system, Wi-Fi internet access and a full bathroom with amenities, including a vanity makeup mirror, robes and slippers. 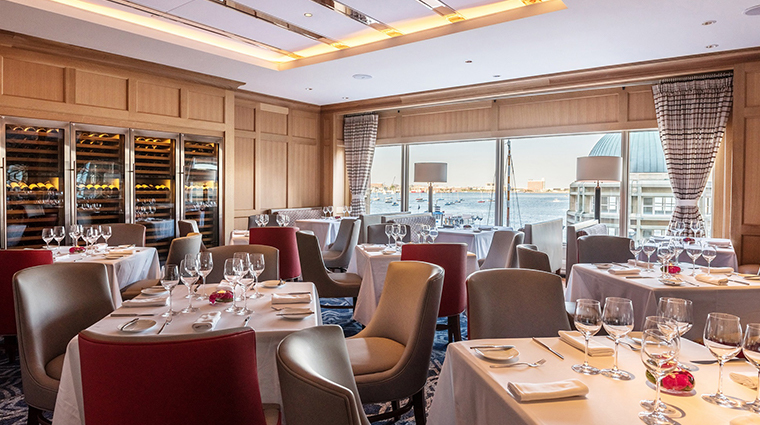 Boston Harbor Hotel has three restaurants: Rowes Wharf Sea Grille, Meritage Restaurant + Wine Bar, and Rowes Wharf Bar, all led by chef Daniel Bruce. 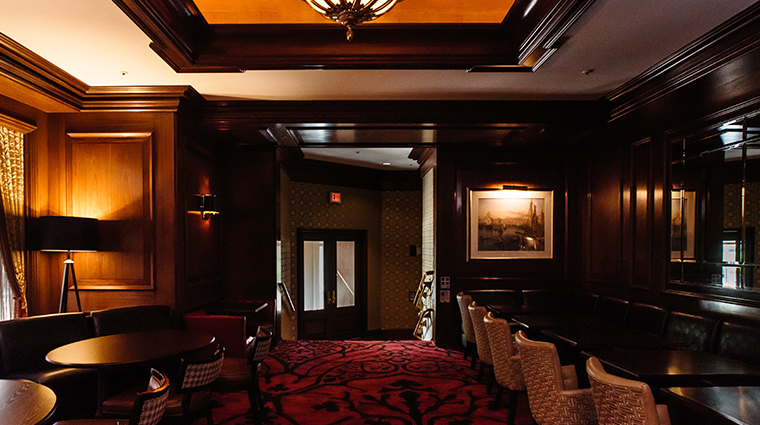 The Rowes Wharf Bar is dark and seductive, decorated with red cherry wood and red candles. 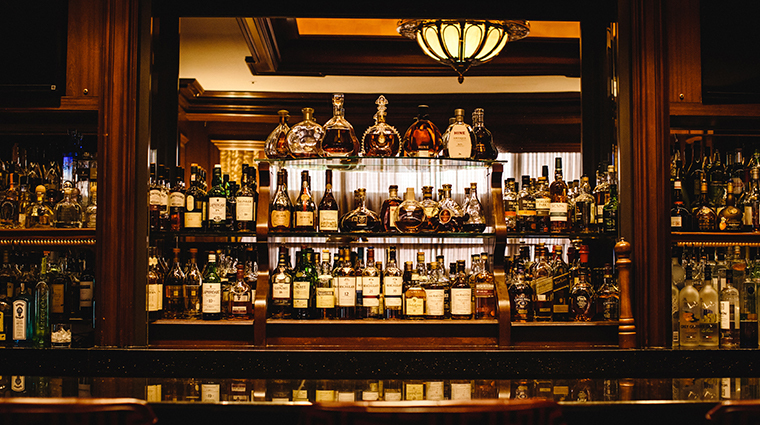 The bar offers a full roster of cocktails, wine and beer, in addition to a bar menu that includes everything from salads to pot pie. The Sea Grille is the complete opposite: a very light, open and airy atmosphere, with a seaside theme, decorated in shades of blue and yellow. 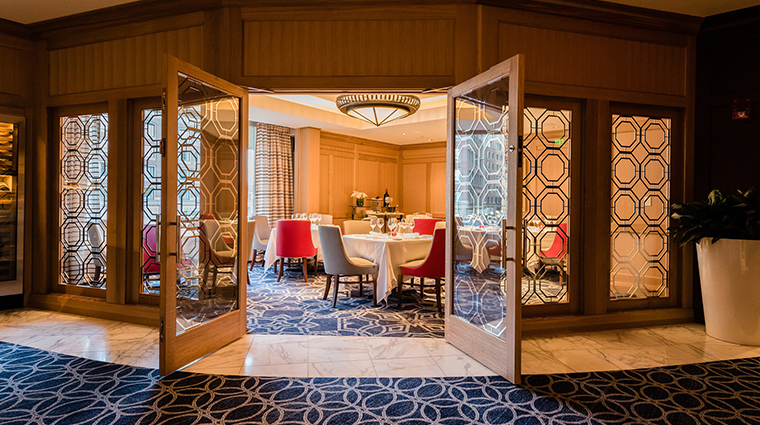 Meritage is the hotel’s fine dining restaurant, which takes the unique approach of matching wine and food with a dynamic, sensory-evoking menu, offering an unforgettable culinary experience while simplifying the art of pairing.